BUENOS AIRES, Jul 4 2012 (IPS) - By simultaneously admitting Venezuela into its fold and suspending Paraguay’s membership, Mercosur has sparked dissension within the trading bloc that threatens the future legal architecture of the Southern Common Market. The resolution to admit Venezuela at the Mercosur summit on Jun. 29, in the Argentine province of Mendoza, does not have the approval of Paraguay, whose parliament has not ratified full membership for the South American oil producer, as required by the bloc’s charter, the Treaty of Asunción. What happened in Mendoza “struck at the heart of the Treaty of Asunción and disregarded one of its most important rules, which is that the entry of a full member must be approved by all the existing full members,” Astori told the Uruguayan newspaper ‘El Observador’. From now on, “anything could happen” in Mercosur because “not a single major rule remains unbroken,” he said. 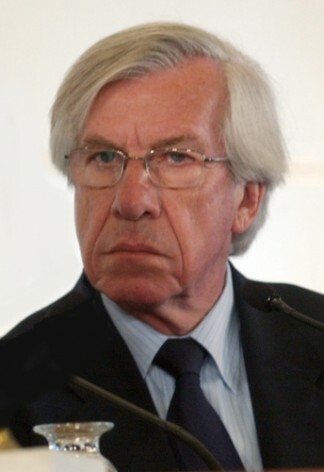 Shock waves rippled through the Uruguayan government, whose foreign minister, Luis Almagro, has expressed objections to the mode of Venezuela’s entry. The presidents of Mercosur countries – Argentina, Brazil, Paraguay and Uruguay – accepted Venezuela as a full member at a summit meeting in 2006. But the final, formal admission of Venezuela depended on ratification by the parliaments of each country, and it was never passed by the Paraguayan Congress. The institutional crisis in Paraguay, triggered by the summary removal of President Fernando Lugo on Jun. 22, led the presidents of Argentina, Brazil and Uruguay to the suspension on the grounds that it violated their charter’s democracy clause. At virtually the same instant they formally admitted Venezuela through a resolution signed by presidents Cristina Fernández of Argentina, Dilma Rousseff of Brazil and José Mujica of Uruguay. Paraguay’s suspension will cease when democratic order is restored after the 2013 general elections that will allow a new government to take office. What will happen when Paraguay, a founding member of Mercosur, is presented with the fait accompli of Venezuelan membership? “The most likely prospect at present is that Paraguay will not rejoin. But there may be a U-turn, since the country’s political isolation has medium- and long-term implications, and (its authorities) may wish to come to an arrangement,” he said. The Union of South American Nations also decided to suspend Paraguay because Lugo’s removal followed impeachment that was carried out with unseemly haste and without regard to due process. But, whereas there was a consensus of attitudes on Paraguay, the incorporation of Venezuela was far from unanimous. Three days after the Mercosur resolution, Almagro expressed doubts about the legality of the measure and described as controversial the summit’s decision-making process. “At the negotiating round (on Jun. 28, in a meeting of Mercosur foreign ministers prior to the presidential summit), we firmly opposed the entry of Venezuela under those circumstances,” Almagro said. “Everything was decided at a meeting of the presidents behind closed doors,” Almagro said on the Uruguayan radio programme, ‘ En Perspectiva’. In Almagro’s view, “the last word has not been spoken,” and he said he was waiting on reports from the foreign ministry’s legal department. Almagro also said the incorporation of Venezuela was proposed by President Rousseff. The responses from authorities in Brasilia and Buenos Aires were immediate. Brazilian foreign policy adviser Marco Aurélio García claimed the idea of admitting Venezuela to Mercosur “was proposed by President Mujica.” But, this was promptly denied by Montevideo. “We did not exert pressure on any country because that is not President Dilma Rousseff’s style. It was an unanimous decision that reflected the political consensus,” García said. The Argentine foreign ministry said the presidents’ decision “was unanimous;” it was adopted “in private” after listening to the positions of the foreign ministers and legal advisers of the three countries; and their “unanimous” analysis was that the entry of Venezuela “is in strict compliance” with the bloc’s rules. It was not specified whether Venezuela’s admission “is conditional on future circumstances.” However, “legislation always comes after actual events,” and “any solution” is possible in future if the parties all want it, he told IPS. Over and above the legality of the situation, “it is the legitimacy of this kind of interaction” that raises most doubts, Fidel Canelón, professor of international studies at the Central University of Venezuela in Caracas, told IPS. “This business of ‘you exit so that I can enter’ will create a furore in the region’s relations,” because “it is perceived as punishment imposed on Paraguay by Brazil and Argentina,” Canelón said. “Even if the issue is settled with the support of the political and economic elites in the member countries, it may nurture forces within Paraguay that act against Mercosur, increasing the instability of the group,” he warned. Canelón referred to Asunción’s claim that Paraguay was under attack by Argentina, Brazil and Uruguay as in the bloody 1864-1870 War of the Triple Alliance. “Another reading, taking into account the dissension revealed by Uruguay, is that once again the big fish are dictating to the little fish in the bloc,” he said. This interpretation “raises the nasty suspicion that the presidents of Argentina and Brazil may have accelerated the entry of Venezuela because of the lucrative businesses the Venezuelan government has opened up for companies” of both countries, Canelón concluded. * With additional reporting by Mario Osava in Rio de Janeiro and Humberto Márquez in Caracas.